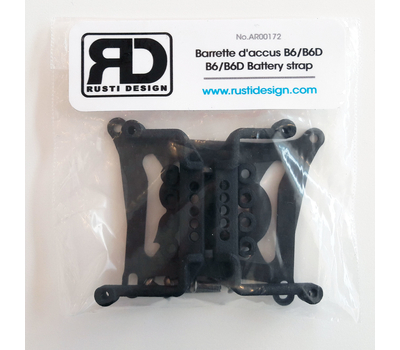 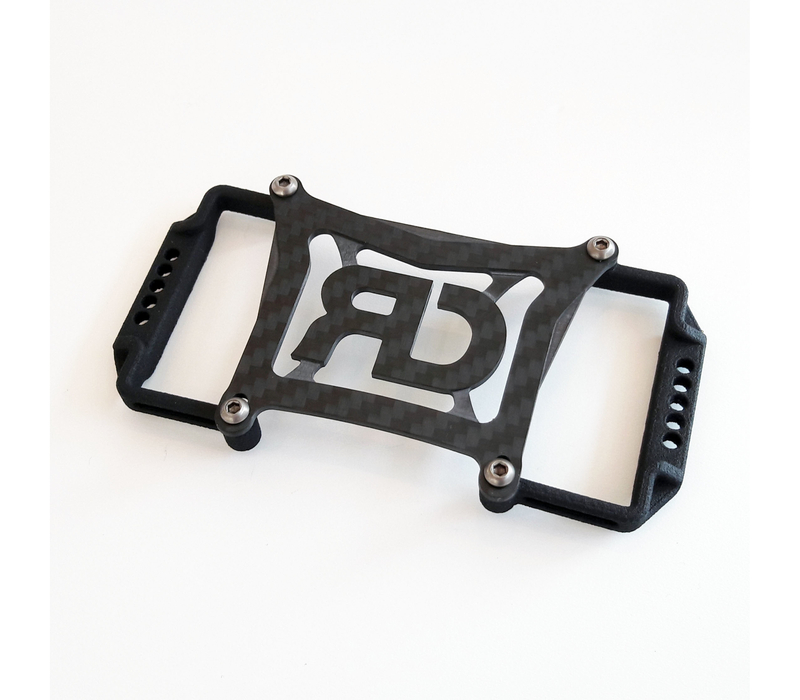 Upgrade your B6 with a Rusti Design battery strap. 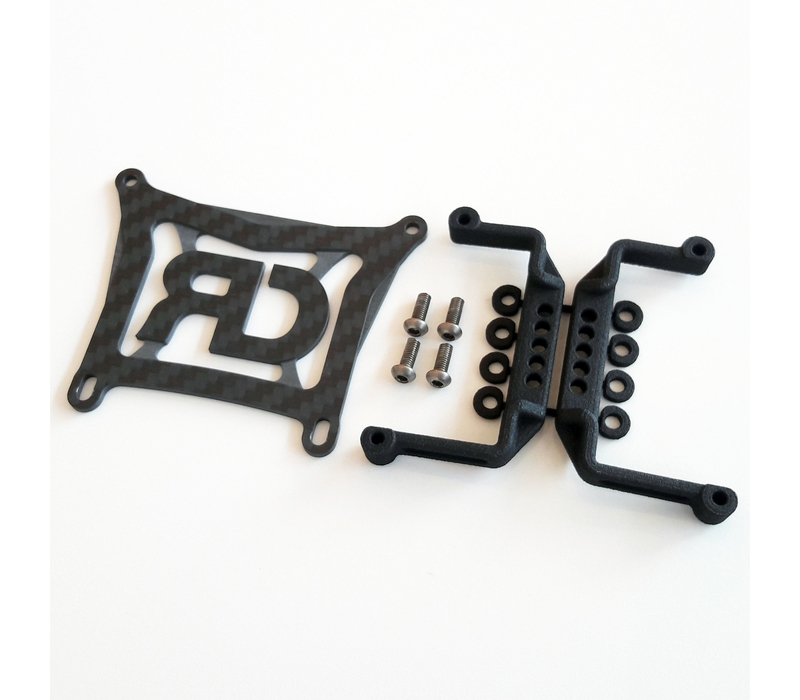 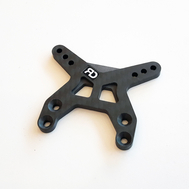 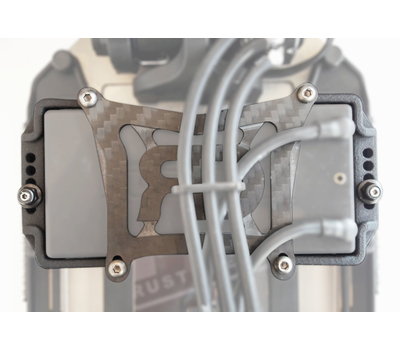 Using a CF plate and 3d printed parts, it uses the same mounting points as the stock part. 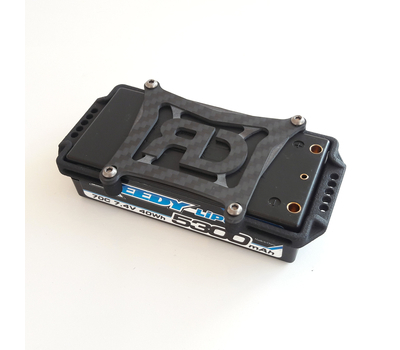 Plug access has been optimized, and while the lipo battery is perfectly held, you still get full chassis flex. Most battery sizes can be used, thanks to elongated screw holes. 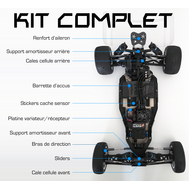 The overall profile is much lower, so you get a better body clearance. 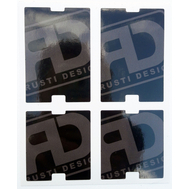 The stock #91730 battery strap shoulder screws are not needed anymore. 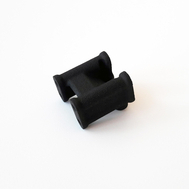 Use instead one or two grub screws and M3 locknuts. 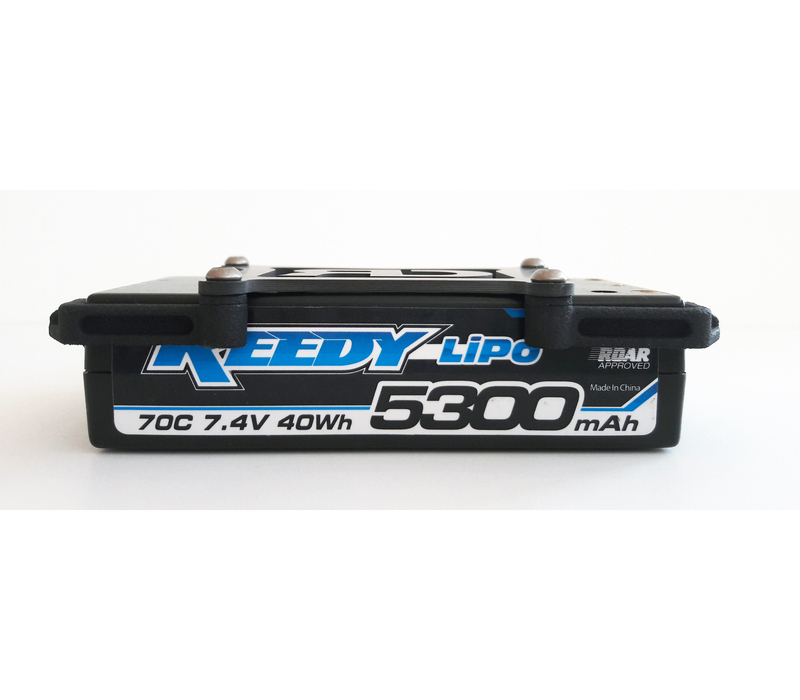 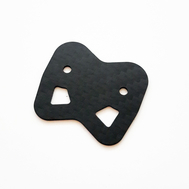 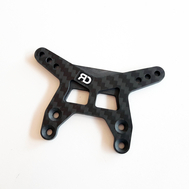 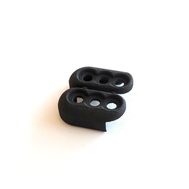 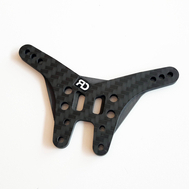 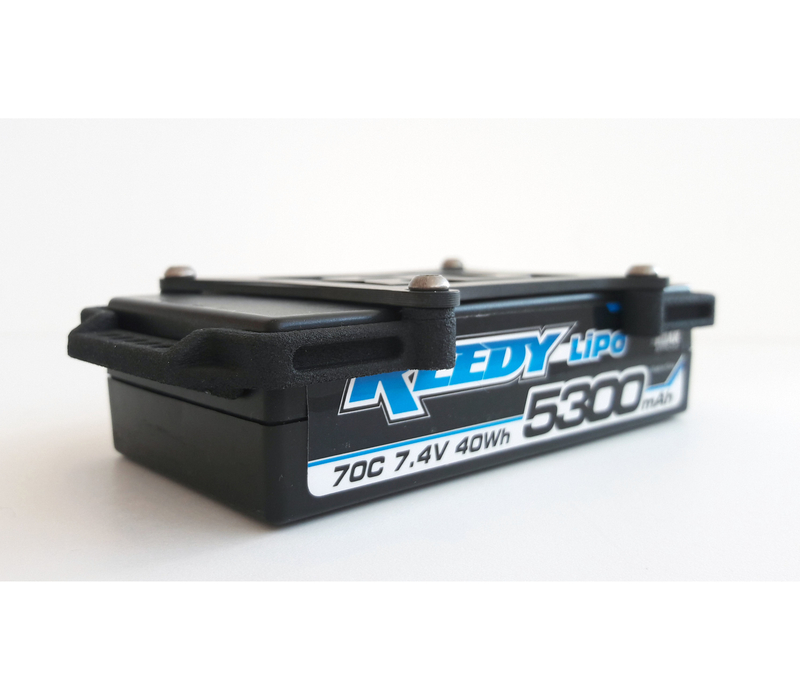 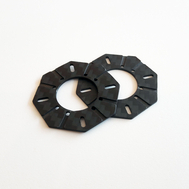 -Different shims included so you can fit slightly bigger lipos, battery weights, or a protective foam.